Quiz: Is There a Link Between Heart and Gum Disease? 03 AugQuiz: Is There a Link Between Heart and Gum Disease? Periodontal disease is a widespread issue that can increases the risk of loose teeth or even adult tooth loss. Recently, studies have revealed there may be a link between the gum disease and heart disease. How do you treat the problem? What can you do to ease symptoms? True or False: Multiple factors can lead to periodontal disease. True or False: Sore or red gums may be a symptom. True or False: People with gum disease have a higher risk of heart disease. True or False: You can take steps to reduce symptoms. True. The most common factor behind periodontal problems is poor oral hygiene, which lead to plaque coating the teeth and irritating the gums. Other factors include age, genetics, hormonal fluctuations, illness, and certain medications. The treatment you undergo for your gum issues will depend on the causes and severity of the disease. True. In addition, you may encounter bleeding when you brush or floss, bad breath, receding gums, or loose teeth. 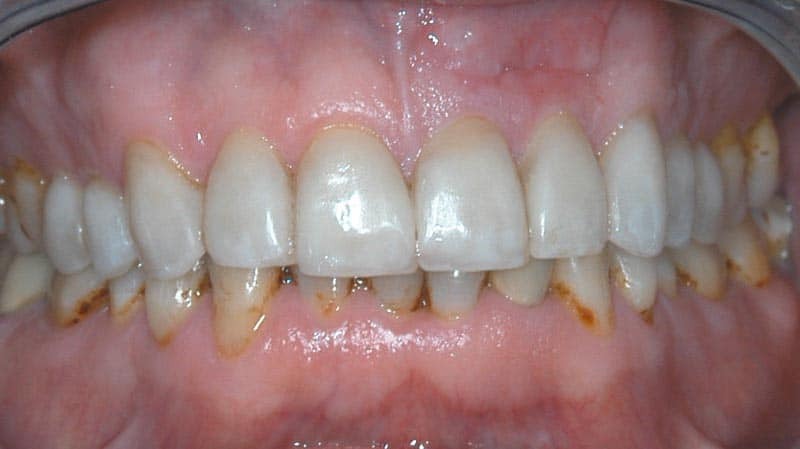 Periodontitis, the advanced stage of the disease, can eventually lead to tooth loss as the connective tissue between the gums and teeth deteriorate. True. Studies have shown people with periodontal disease are likely to also develop heart disease. Many of the same bacteria present in patients with gum disease can lead to the onset of heart disease, showing your oral health can have a major impact on your overall health. True. In most cases, simple preventive measures can help you avoid the disease or address it in the earliest stages, before it progresses and can only be managed. You should carefully brush and floss your teeth daily. You also need professional dental cleanings twice a year to remove plaque completely. You should also avoid tobacco products.